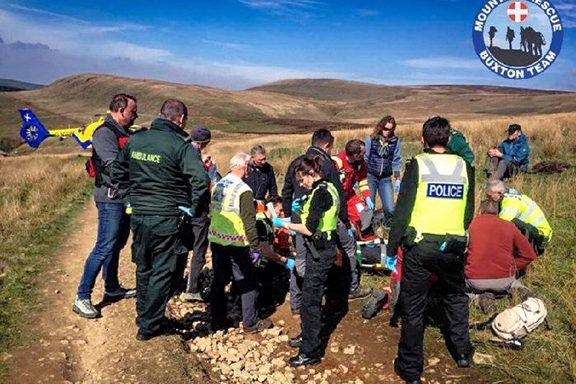 The Buxton Mountain Rescue Team were called to rescue a mountain biker who had fallen off his bike and landed badly whilst cycling in Wildboarclough. The team were called out on Saturday (April 6) by the North West Ambulance Service with a request to assist them. The North West Air Ambulance was called in and the rescue team carried the casualty to the helicopter for onward transport to hospital.